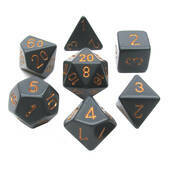 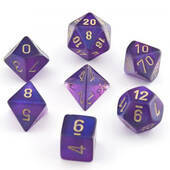 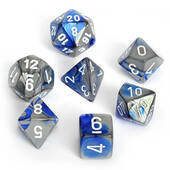 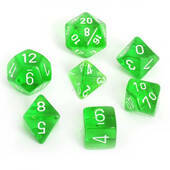 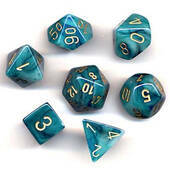 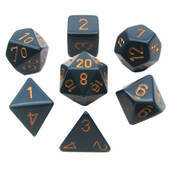 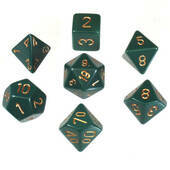 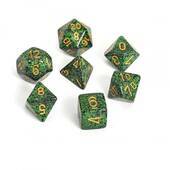 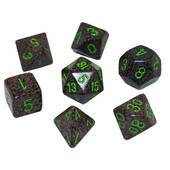 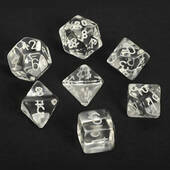 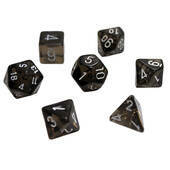 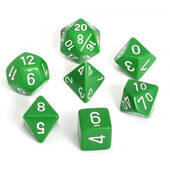 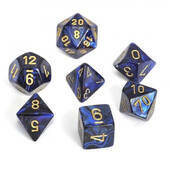 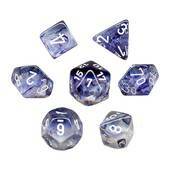 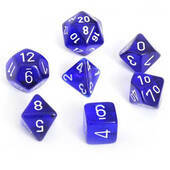 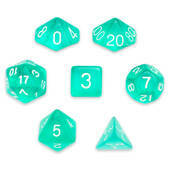 The Chessex - Earth Polyhedral 7 Die Set is a fantastic bargain. 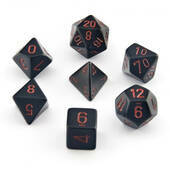 Whether you're new to tabletop gaming or need to replenish your equipment, this set is too good of a deal to pass up. 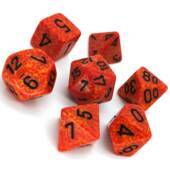 The Chessex - Fire Polyhedral 7 Die Set features pieces that are a beautiful shade of red-orange. 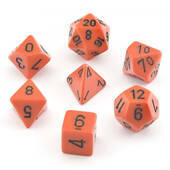 This set is perfect for those getting into tabletop gaming, and it will also make a strong addition to a long-time gamer's collection. 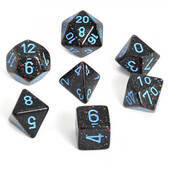 Made using mesmerizing colors, the Chessex - Nebula Black With White Polyhedral 7 Die Set is a must-have for tabletop gamers. 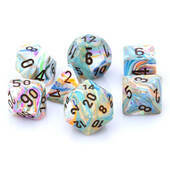 Whether you're shopping for yourself or a friend, this is an amazing product at an unbeatable price. 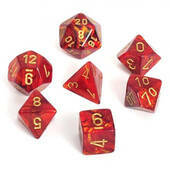 The Chessex - Golden Recon Polyhedral 7 Die Set incorporates visually stunning colors for a stylish look. 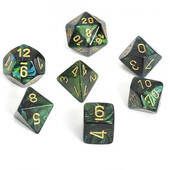 Consisting of seven pieces, this is an extensive set at a great price, making it a perfect gift for your friend or for yourself.